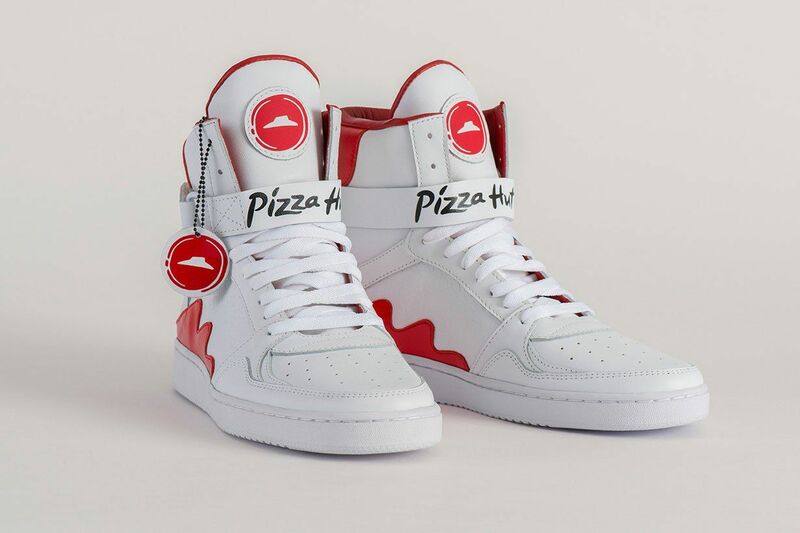 Pizza Hut has something special for this year’s March Madness: a pair of sneakers that you can use to order pizza. The pizza chain is introducing Pie Tops II this week, a pair of limited-edition shoes that can be used to order pizza and also pause the college basketball game you’re watching while the delivery guy is at the door. The shoes come with buttons on their tongues that can be used a bit like keyboards. Press the button one foot to order pizza, and the button on the tongue of the other shoe to pause the game. The Pie Tops work using Bluetooth technology that connects the pizza button on the shoe to the Pizza Hut app on the user’s phone. Essentially, phone does the heavy lifting when it comes to ordering pizza. The game is paused using your DVR receiver, and the shoes are compatible with receivers from Spectrum, DirecTV, XFiniy, Dish, and Fios. The new shoes follow last year’s debut of the original Pizza Hut Pie Tops. Last year’s version was able to order pizza, but couldn’t pause the game. A small number of the shoes will be available for the public to buy through Hypebeaston March 19. Details, including pricing, on how to buy one of the 50 available pairs or win one for free will be shared on Hypebeat and PizzaHut’s Twitter accounts. Pizza Hut is “the Official Pizza of the NCAA March Madness and the Final Four,” it also recently became the official pizza sponsor of the NFL after the sport’s organization decided to part ways with Papa John’s. Papa John’s founder (and then CEO) John Schattner had alleged that NFL players kneeling during the National Anthem were hurting the chain’s sales.